Look down a canyon from this beautiful home in Verde Glen north of Payson. 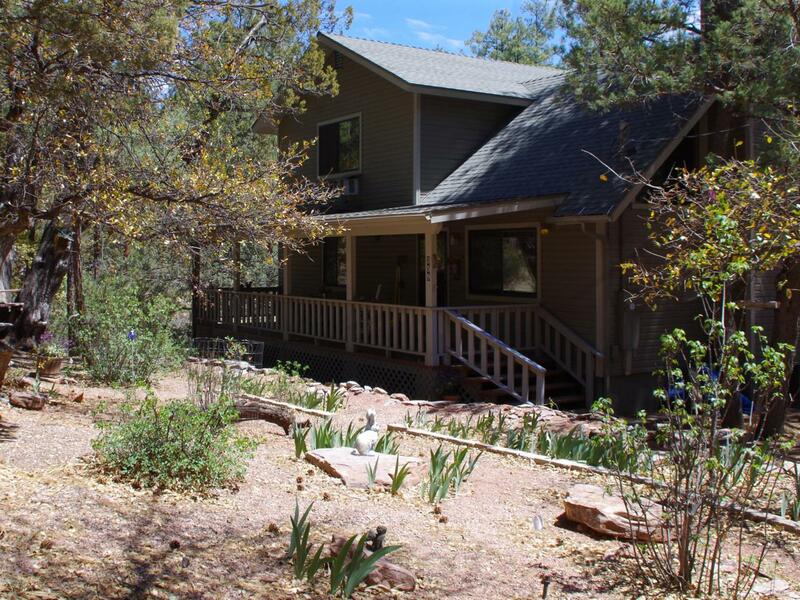 Secluded amongst the tall pines, with multiple porches and decks to enjoy Rim Country's wonderful weather. Neighbors include many wildlife including elk and deer. Living room is anchored by propane fireplace and covered by knotty pine tongue and groove ceiling. Home is being offered fully furnished including dishes, pots and pans, and bedding. A perfect place for full or part time living.